It’s the weekend before Thanksgiving, so if you need help polishing off those last-minute plans, you came to the right place. We’ve laid out some of the best recipes we’ve seen on the internet in the weeks leading up to Turkey Day, no matter how you’re celebrating. We’ll be taking the following weekend off to enjoy the holiday with our family—our James Bond tradition lives on http://bit.ly/2zPow0n , and we plan to stuff ourselves silly with delicious eats. Hope you enjoy a warm and wonderful holiday weekend. Because of course you want to start the big day with a breakfast cocktail, we’re all about this blood orange champagne mojito from The Almond Eater. Not just any pumpkin pie will do this year. 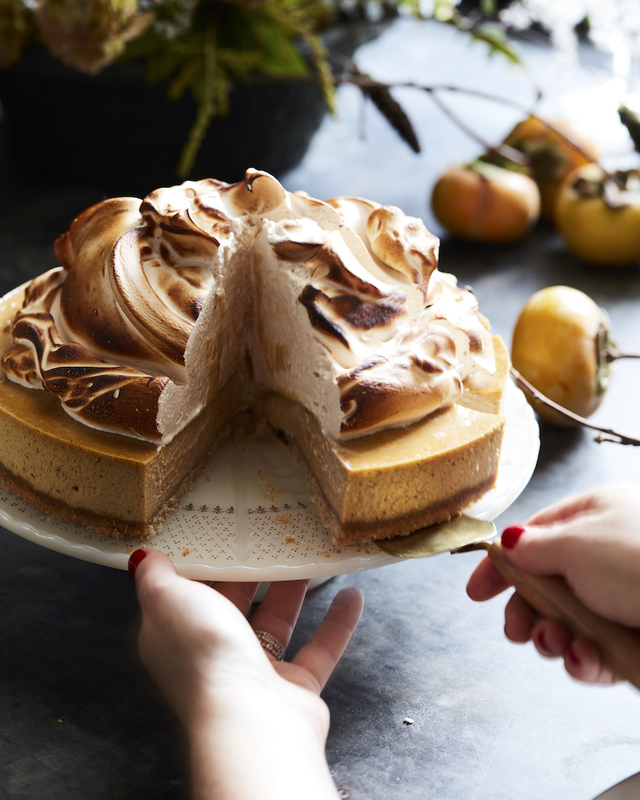 This concoction from What’s Gaby Cooking combines your favorite Thanksgiving pie with cheesecake and marshmallow meringue. Yum. Tofurkey more your thing? No problem. Healthy Happy Life has a whole recipe guide dedicated to the vegan celebrating Turkey Day. Are you as obsessed with these sheet pan dinners as we are? Thankfully, there’s a Thanksgiving version—it looks like less work than the typical fare, plus you get bonus points for still doing it all yourself. For the days when another leftover turkey sandwich just won’t do, Lexi’s Clean Kitchen has an excellent Thanksgiving-stuffed acorn squash. While you’re digesting, you might be scrolling through the sales synonymous with this holiday. For tips, we love A Cup of Jo’s gift guide, which is organized based on who you’re buying for. She hasn’t released them all yet, so keep an eye on this page as new ones are published (and get those wallets ready).